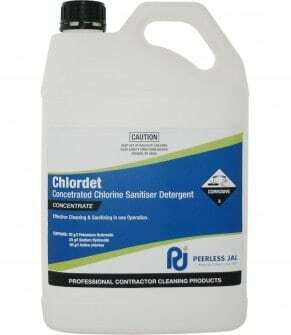 High Foaming chlorinated alkaline detergent that cleans and sanitises in one operation. Use to kill germs and remove mould, stains and smells in toilets,bathrooms,washrooms and kitchens. Ideal for heavy duty cleaning of fat build up and sanitising in food service, swimming centres,caravan parks,changerooms and the like. 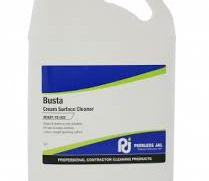 May be used outdoors on paths or patios to remove mould, leaf and moss stains. Suitable for destaining tea/coffee cups and plastic food containers.